Karina's Kreations: Up Up & Away!!!!!! I had four people join my Krafting Crew group this month. I want to welcome, Bella, Melissa, Barb & Nicola. 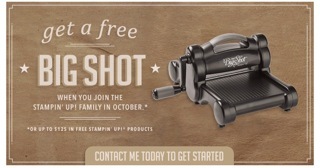 They all got the Big Shot special which has been extended to Nov 11. Don't miss out. Sign up today!!!! Coffee Talk is this Friday. I hope they can make it!! This is a card I made for my last two recruits. 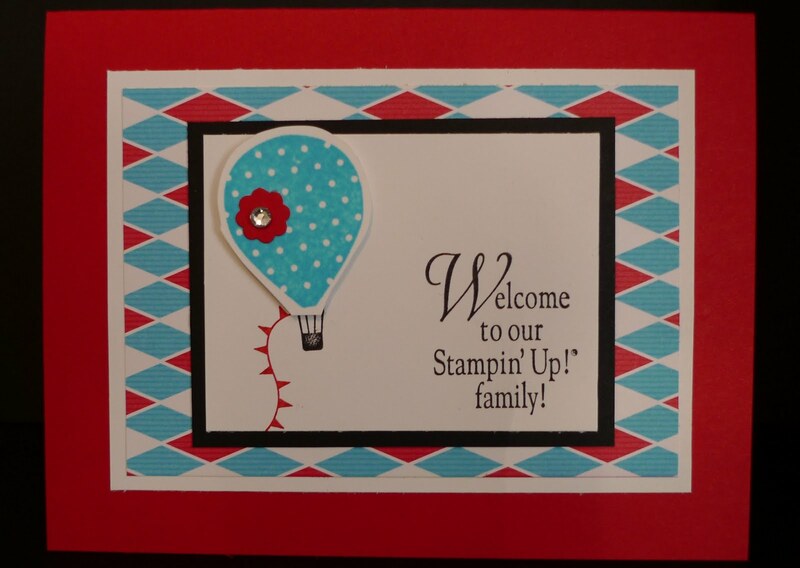 I used the Up, Up & Away stamp set. I love the images and sayings in this set. 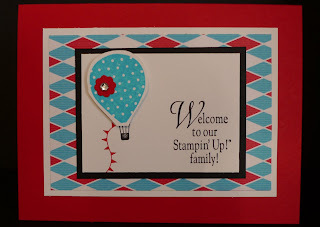 I used Real Red, Whisper White, Basic Black and Big Top Birthday Designer Series Paper to make this card.